If you have any gaps in your library, it's a good time to fill them. Steam is having a sale on The Witcher series right now, including the most recent Gwent-based spin-off entry, Thronebreaker: The Witcher Tales. The Game of the Year Edition for The Witcher 3, encompassing its excellent DLC, is discounted by a massive 70 percent. It's still number one on the PC Gamer Top 100, as of last summer. Will it still be there this year? The Witcher 2 is a ludicrous 85 percent off, which in the UK makes it cheaper than literally every sandwich I have purchased this year. Thronebreaker, meanwhile, is a leaner 25 percent off. 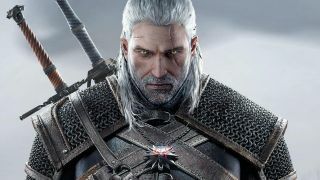 It's worth spotlighting, because it sold under CD Projekt Red's expectations, despite scoring an excellent 81 percent in our review. That was before it landed on Steam, though, so hopefully it's picked up since then. According to Steam Prices, this matches its biggest discount to date from February this year. The sale ends on 14 April, so you've got plenty of time to decide if you want to add any of these games to your pile of shame.